Gum disease is not fun, neither for our patients nor for us. Gum disease, also known as gingivitis or periodontal disease is caused by bacterial growth in your mouth. If left untreated, can pose serious problems to your dental health – the leading cause of tooth loss in adults is gum disease. There are many things you can do to keep gingivitis from turning into full-on gum disease (or periodontitis.) Significant gum disease can cause the inner layer of the gum and bone to pull away from the teeth and form pockets where bacteria can grow. Your body’s immune system is tasked with fighting off the bacteria, but the bacteria can break down the bone and tissues that hold teeth in place, causing teeth to become loose. The good news is that gum disease can be reversed in nearly all cases if practicing proper plaque control. To practice proper plaque control, come visit us in Catonsville for professional cleanings at least twice a year. You can also practice proper plaque control at home by brushing and flossing daily. Brushing removes plaque from the surfaces of the teeth that can be reached, while flossing removes food particles and plaque that might have found its way between your teeth and under the gum line. Another way to reduce gum disease-causing bacteria is to use antibacterial mouth rinses. Stop smoking: smokers are seven times at risk for gum disease than nonsmokers. Smoking can also reduce the success of treatment for advanced gum disease. Cut out the stress: as with a cold, stress can make your gum disease worse. Your body needs to stay healthy and have a strong immune system to fight off the bacteria that can cause or worsen gum disease. Eat well: maintaining a well-balanced diet helps your immune system fight the plaque-causing bacteria that causes gum disease. Look for foods with antioxidant properties, such as those containing vitamin E (vegetable oils, nuts, leafy green vegetables) and vitamin C (citrus fruits, broccoli, and potatoes.) Foods with antioxidant properties can help fight off gum disease by helping your body repair damaged tissue. Don’t clench or grind your teeth: when you clench or grind, you might be putting excess force on the supporting tissues of your teeth. If your gums are trying to repair themselves, these actions can actually reverse progress and increase the rate your tissues are destroyed. Our dentists here in Catonsville are committed to keeping your gums healthy and keeping you healthy, and can offer a wide-range of treatments to prevent or manage gum disease. How Can I Treat Gum Disease in Baltimore County? If you do indeed have gum disease, it is important that we see you as soon as possible to provide treatment. For us to assess the level of care you need, we need to determine how far your gum disease has progressed, how you have responded to earlier treatments, and your overall health. Once we have a clearer picture of what your needs are, we can then explore your options for treating gum disease. Professional dental cleaning: If we do see gum disease during a regular checkup, we may encourage you to come back more than twice a year so we can help manage it better. Scaling and root planing: This is a deeper clean that is done under a local anesthetic in our office. We will scrape away the plaque and tartar from above and below your gum line (scaling) and smooth away the rough spots on your teeth (root planing.) This allows us to remove bacteria and provides a clean surface for your gums to reattach to your teeth. Flap surgery/pocket reduction surgery: This is a surgical procedure where we lift the gums back to remove the tartar. We might smooth irregular surfaces to help prevent bacteria growth, before replacing the gums. When we put the gums back, our goal is to create a tighter fit between the gum and tooth to make it more difficult for bacteria to grow. Bone grafts: We’ll use fragments of your own bone, synthetic bone, or donated bone to replace those destroyed by gum disease. Because gum disease can destroy the bones that hold your teeth in place, a bone graft can provide more stability to hold your teeth in place. We also use tissue engineering to encourage your body to regenerate bone and tissue after a bone graft. Soft tissue grafts: We can take tissue from another part of your body, usually the roof of your mouth, and use it to reinforce thin gums or fill in where gums have receded. Guided tissue regeneration: When the bone supporting your teeth is destroyed, this surgical procedure stimulates bone and gum tissue growth. In conjunction with a flap surgery, we’ll insert a piece of mesh-like fabric between the bone and gum tissue to help them regrow and better support your teeth. Bone surgery: With bone surgery, there are often shallow craters in the bone due to moderate and advanced bone loss. Our reshaping process will smoothen those craters to make it harder for bacteria to collect and grow. Our dentists here in Catonsville are committed to keeping your gums healthy and keeping you healthy. Stop by for a visit so we can best meet your needs! Leikin & Baylin Dental Care of Catonsville offers family dental services for your whole family. Going to the dentist is important at any age. 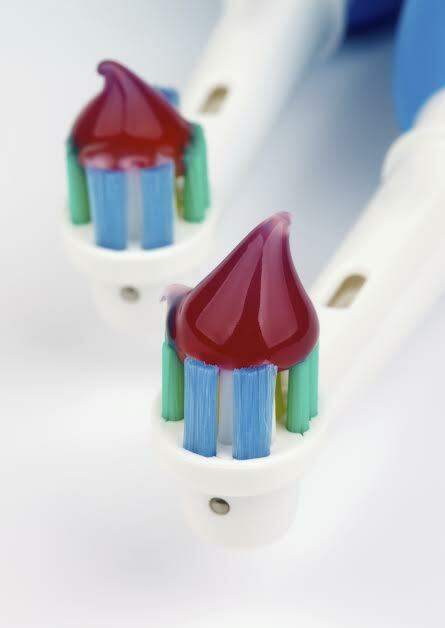 It is important to have good oral hygiene for long lasting teeth. But there are so many different types of dentists – family dentist, pediatric dentist or a general dentist – how are you supposed to know which one to go to? 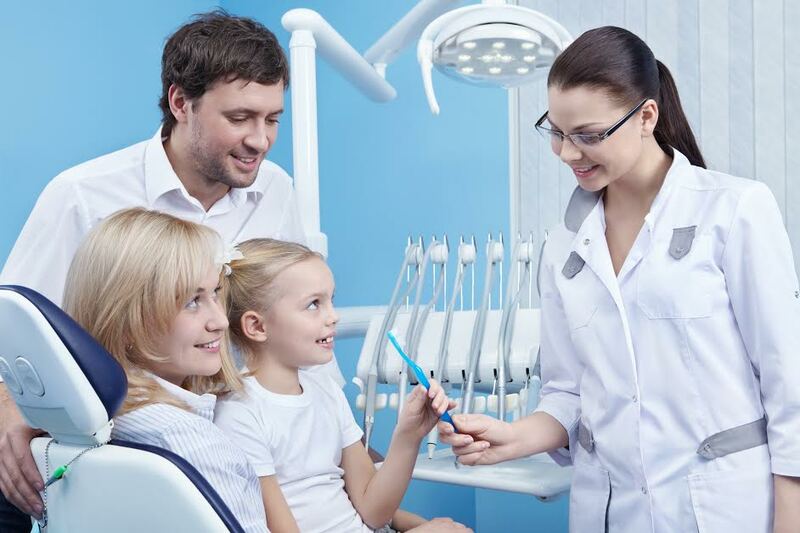 Fortunately, this blog topic will discuss what a family dentist is and why you should visit one in Catonsville to take care of all of your dental needs. It is important to visit your Catonsville family dentist every six months to make sure that everything is going smoothly. Most people dread the dentist, but not coming in for your appointments causes more harm than good. Worse problems can result from poor dental hygiene, one of those being a root canal. A root canal may be needed when there is significant tooth decay, infection, trauma, or neglected treatment. The more you understand about root canal treatment, the less there is to worry about. There are four basic steps to root canal surgery. Assessment– The number of appointments needed for root canal therapy varies based on severity. Some clients may need more than one procedure, and others may only need one. When you arrive for your procedure, the tooth will be numbed so that you don’t feel any pain. An x-ray is then taken for doctor’s reference during the root canal. In addition, any infected tooth may require the use of antibiotics in the days preceding the surgery. Preparation– After the x-ray is ready, your dentist will use a plastic rubber dam over your mouth. Because the dentist uses chemicals during the procedure, the dam is imperative to keeping chemicals out of your mouth. The guard also isolates the tooth, keeping the tooth and area around it dry for the surgery. Procedure – The procedure begins by the dentist drilling into where the nerve of the tooth is located, also known as the pulp chamber. The tools your dentist will use are files, which remove the nerve. The point of the surgery is that the entire nerve or infection gets removed in order to alleviate the problem. Some files are handheld, and some are mechanical. Once the dentist removes all the nerve and infection, the procedure is over. However, determining that they got the entire root can be the most difficult part. Another x-ray may be needed, and the dentist needs to ensure that he’s reaching as close to the tooth as possible. After the dentist has removed all of the nerve, the tooth must be fully dried out. Your dentist will then seal the tooth using a rubber material. Recovery– Based on the procedure, your dentist will either temporarily fill the tooth or permanently fill it. More often than not, a crown is recommended for full healing of the tooth, which will prevent decay due to the lack of nerve. Your dentist may give you painkillers post-procedure for when the numbing wears off. Pain can be relieved by applying an ice pack to the affected area, which will also help reduce any swelling. Remember that while you may not want to go in for your dental check-up, sweeping problems under the rug could result in infection or decay, leading to a root canal. Come in to your favorite Catonsville dentists today to prevent the need for root canal surgery! If you have any questions about Teeth Whitening, or wish to schedule an appointment, please contact Leikin & Baylin Dental Care of Catonsville, Maryland by calling 410-747-1115 or visit CatonsvilleDentalCare.com. Source: What is a Root Canal?